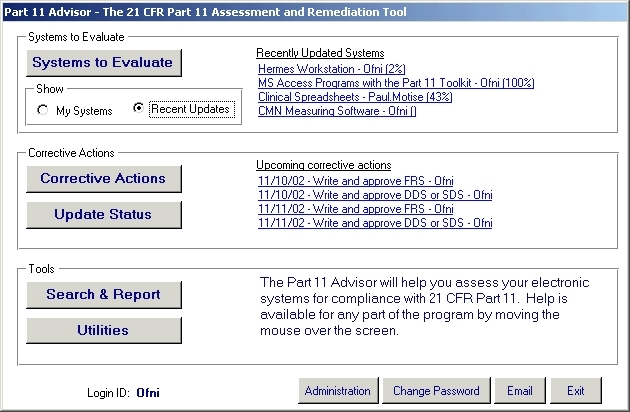 Part 11 Advisor allows users to evaluate their systems for Part 11 Compliance, determine corrective actions, update the status of the corrective actions, and track compliance with 21 CFR 11. The main menu will automatically show either items you are responsible for or the last four systems updated. It will also show upcoming corrective actions that are due.